We offer Make Your Own Glass Platter Experiences on weekdays (weekend appointments available for large groups). 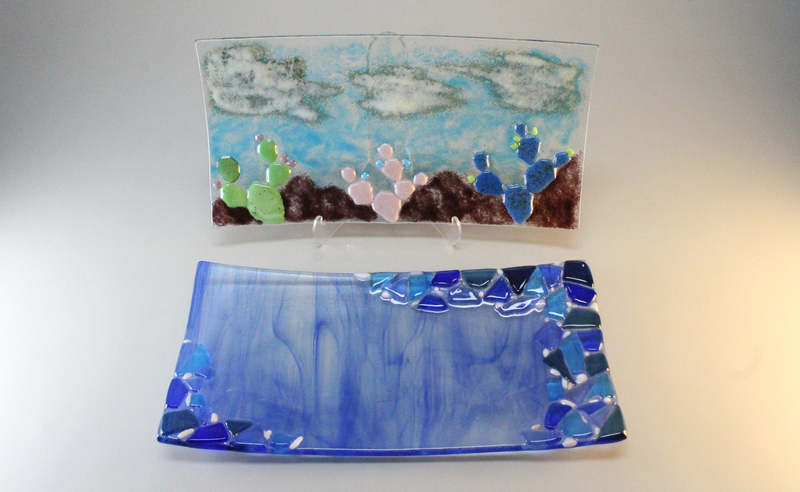 These are 1 hour introductions to exploring creativity in glass fusing. 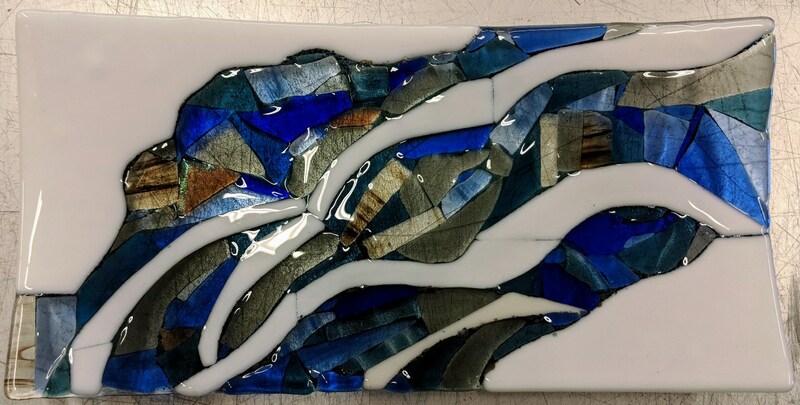 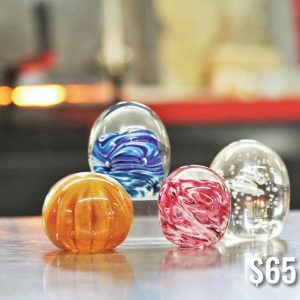 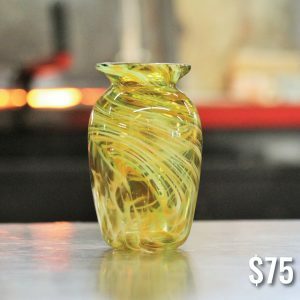 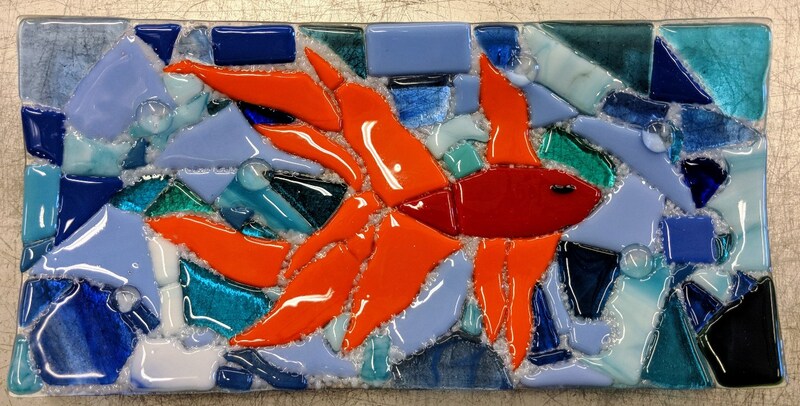 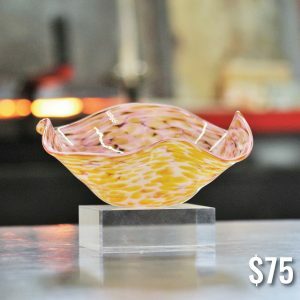 Learn to safely cut colored glass into the shapes and sizes you want under the guidance of a friendly SGS artist instructor, and then assemble your design on a clear glass base. 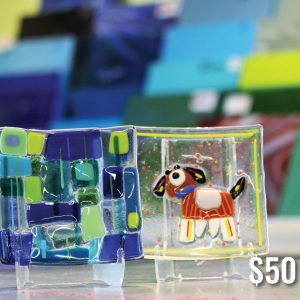 We will fuse your colorful design in a kiln and then slump it (remelt it into a mold) to create the shape of your choice.